Being a modern parent isn’t easy. Between cell phones and social media, figuring out the right answers to give your children on how to act and even who to be when they grow up is a lot more complicated than it used to be. In fact, it doesn’t get that much easier when your children graduate high school and are officially ‘grown up’. Every decision your grown child makes is one you want to second-guess for them, even if they are happy and confident. What if they want to adventure before college? What if they’re thinking about skipping college altogether to join the rising trend of self-taught technical savants? What if their first career idea doesn’t work out as well as they think it will? These are the kinds of questions that plague modern parents experiencing a very recently empty nest. While you can’t make your child’s mind up for them on who and what they should become as young professionals, you can provide them with some very valuable options. Millenials and even the young Gen Z’s graduating from high school today are notorious for making their own way in the world and forging a path with new ideas, technology, and even companies founded at very young ages. 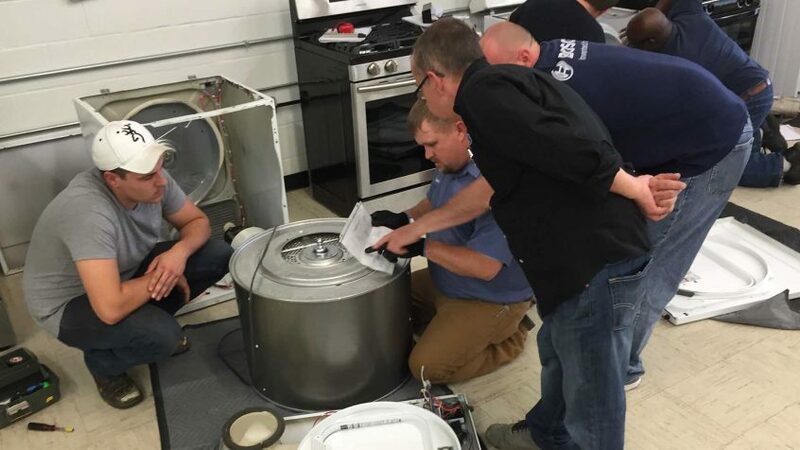 Learning appliance repair connects young professionals to their technological surroundings and, as a perk, is one of those industries that will simply never go away or lose demand. As we become more and more reliant on convenient and helpful machines to wash our clothes, cook our food, and tell us how to get to the store, those who can repair hardware, as well as software, become invaluable. As an asset to young professionals, it not only enhances their understanding of our increasingly appliance based world, it also provides an opportunity to find profitable and useful work no matter where they go, what they do, or how well their latest startup launches. 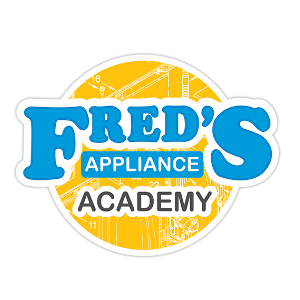 With appliance repair, your kids will be able to support themselves anywhere as an appliance technician and might even become an innovator inventor in the process. One of the best things about investing in appliance repair training for your recent graduate is that it doesn’t take very long. If they’re willing to do a little college practice in a dormitory with other technicians in training, your child could learn the ins and outs of ovens and stoves, washers, dryers, dishwashers, microwaves, and a lot more in just three short weeks of all-day training with skilled industry professionals. Like many student apartment situations, each participant will have their own private bedroom in a flat shared with one other student with all the amenities of a fully furnished apartment, including a washer and dryer which are inevitably always in good repair. After weeks of real hands-on experience, they’ll be able to get a job almost anywhere in the world and, as a bonus to you, will always be equipped to do a few pro-bono repairs when they come home with heaps of laundry and tales of their most recent adventures into freelancing, entrepreneurialism, and cutting-edge technology. Appliance training school can be like a three-week occupation summer camp for a young college student, a crash college course for the independent entrepreneur, and an adventure for any young adult. 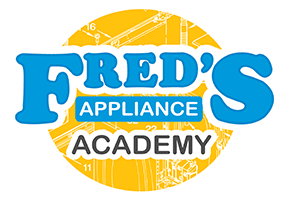 If you’re interested, intrigued, and seriously considering signing your grown child up to three weeks of interesting and hands-on appliance repair training, you’re not alone. Appliance repair is a fantastic career for a young technician looking to find their place in the world because there will always be demand for someone to repair home appliances and it is an excellent gateway to even greater technical knowledge. For more information about our appliance repair courses, where they are, and how to enroll in one, contact us today!